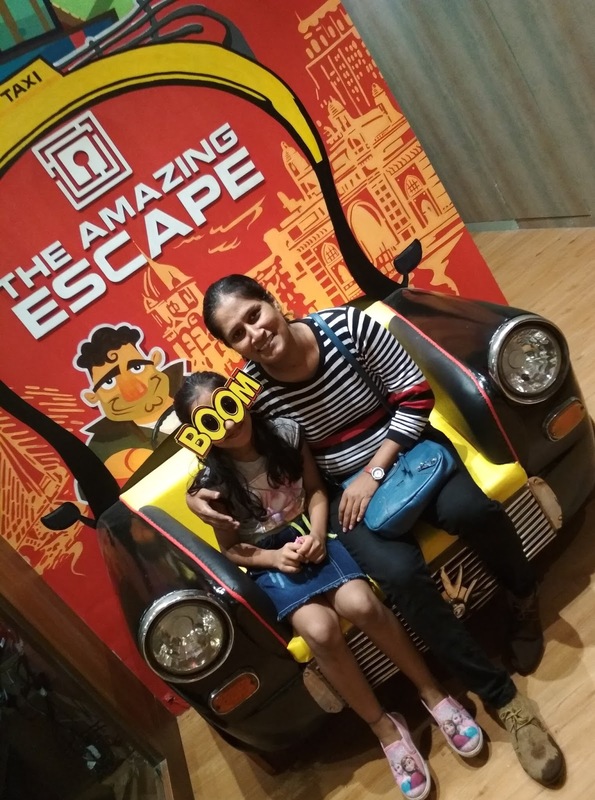 September 02, 2017 6 themes, Andheri, enjoy, Family, fun, kids, love, The Amazing Escape, weekend. 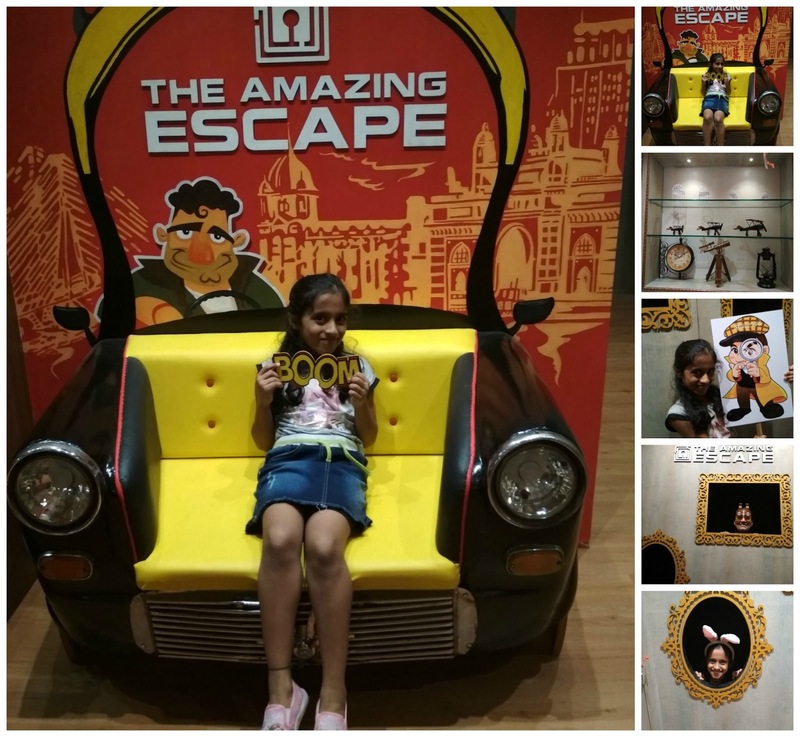 Every weekend when we sketch the plans with friends, cousins, kids and family the same old malls, cineplexes and eat outs comes in our mind and we are getting a sense of boredom.We were waiting for a place full of fun and excitement. And that's when we heard about the new concept of adventure rooms and we decided to give it a shot. And believe me everybody will love it as this place is totally phenomenal!!! The Amazing Escape, at Andheri, is the perfect way to spend some fun time with family and friends and believe me the kids will love it. The rules are simple. You get to lock yourselves, in a themed activity room and plunge into a mission of treasure hunt. And you have exactly 60 minutes to spot the clues, complete the challenge and emerge out victorious. The amazing thing about this place is that its open for anybody above 12 years of age. But Ideally suited for a group of 4-8 persons. Children aged 8-12 years can also participate provided there is a supervising adult in the group. Apart from a group of families or friends, corporate companies who look to engage their personnel in team building activities will find this a perfect blessing!! The Amazing Escape has a total of 6 themes- each of which has a fascinating plot that will engage and intrigue the participants. Themes like Metro Bomb Diffusal, The Lost Kingdom, Bank Heist, Illuminati, Prison Break, The Evil Lucy, Escape The Tomb are really interesting and have a story spun around each one of them. The loved the concept of adventure rooms as its fast catching up in all major cities and people are already galvanized with the concept. This is a great opportunity for parents and kids to have some fun together as a team- hunt for clues and emerge victorious! They have 6 themes- so 6 different rooms and play time of 60 minutes. In case you get stuck in any of the games, there is assistance provided, so that's no worry. And lastly you guys must be thinking about the cost but believe me its not that will put a big whole in your pocket. The fees are Weekday - Starting at Rs. 999 per person. Weekend - Starting at Rs. 1299 per person . So guys just not miss the fun and visit this place with ur friends family and kids!! Its so much fun! !